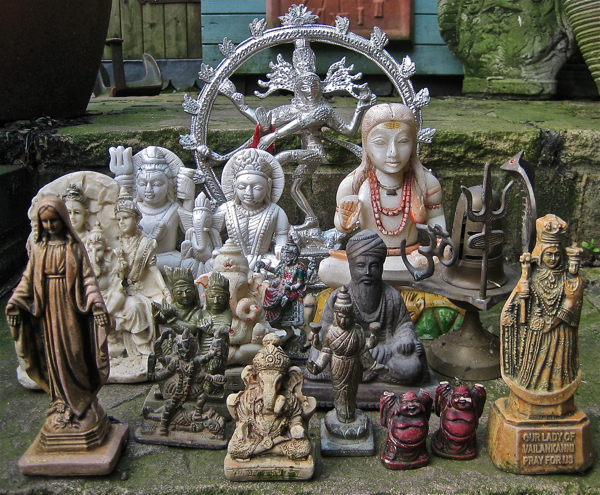 Although Steve is not a religious person, these objects exert a powerful fascination upon him. 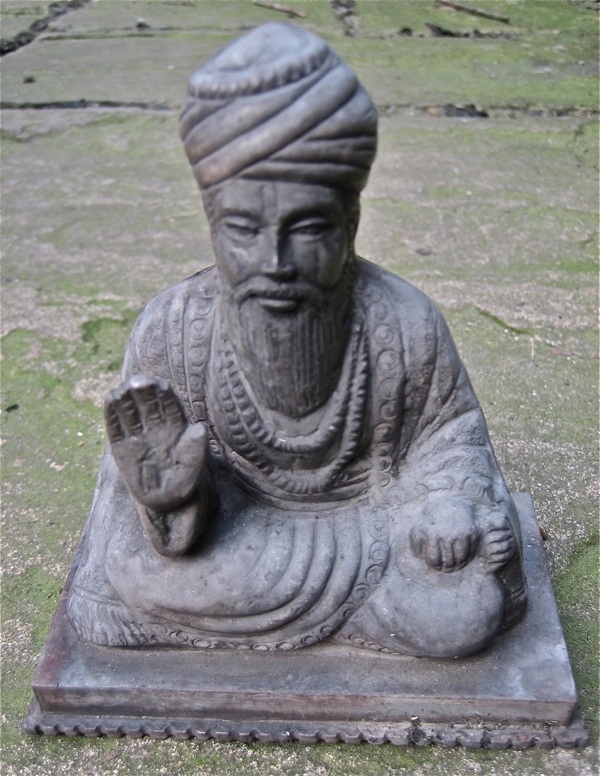 When he is alone on the mud, scouring the water’s edge in the dawn mist and he discovers a religious offering, then Steve recognises a personal sense of awe in the human credulity which led to the deliberate placing of these offerings in the river with the expectation of a particular result. Instead of fairies at the bottom of his garden, Mud God Steve presides over a large community of deities from the Thames, and amulets too – all artifacts contrived to evoke benign spirits. But when Steve finds Voodoo dolls impaled with needles or vials wrapped in paper with obscure texts including the word “Lucifer,” then he leaves these strange offerings where he finds them in the river. “I don’t believe it, but I do have a healthy respect for it,” he admitted Steve warily. Once he came within three feet of being hit by an effigy, when at low tide the owner threw it with considerable heft to reach the water, narrowly missing knocking Steve for six. “They are just for luck – but I could have been killed by an offering!” declared Steve in affront, widening his eyes at the absurdity of it. 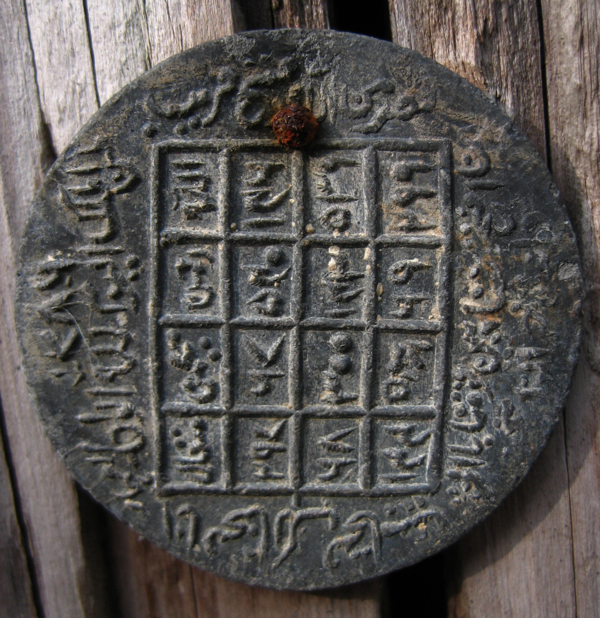 An invitation to examine some “Roman” pots at Woolwich led Steve on an especially muddy episode, which revealed hundreds of terracotta ghee pots (resembling Roman lamps) associated with the Indian festival of Diwali, when traditionally these lamps are set adrift upon the Ganges – the Thames in this instance standing in for the sacred river among London Hindus. 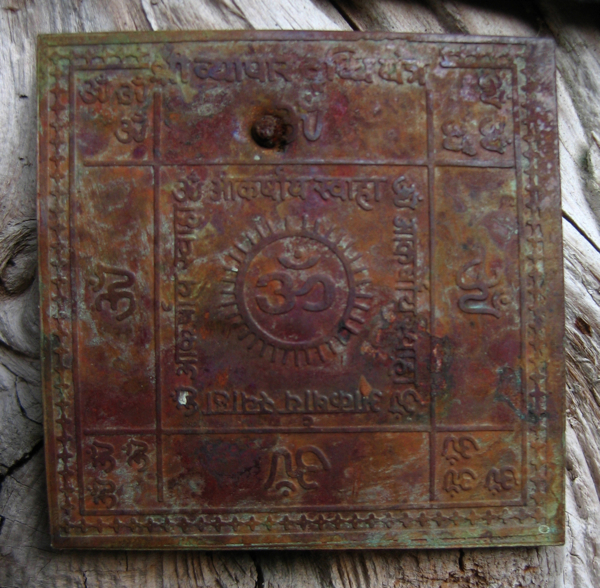 Another common find are square metal plates incised with designs, these “yantras” are talismans to avert misfortune. Most fascinating to Steve are the many modest silk bundles he finds upon the shore bound up carefully in red thread, containing offerings of seeds and sweet corn and coins. Also, sometimes wrapped up and tied in red thread are padlocks and glass vials containing fluid enfolded in texts written upon waxed paper, and the significance of the red thread especially perplexes him. “It means something to someone,” he mused. “Always collect any coconut you see in the Thames,” Steve advised me – especially if it has been drilled and resealed, because these commonly contain offerings, which sometimes may be of value. Naturally, gold is the offering of greatest worth and Steve once found a lump of gold wrapped up in lead – lead and gold being two materials often combined in religious offerings – another source of enigma. Many of the effigies in the river are cheap mass-produced objects, purely for the purpose of sacrifice, yet the human significance placed up these things gives them emotional value and meaning for Steve. Although occasionally, extraordinary sculpted items also turn up like the exquisite bronze head below which has its own presence and is believed to be of African origin. 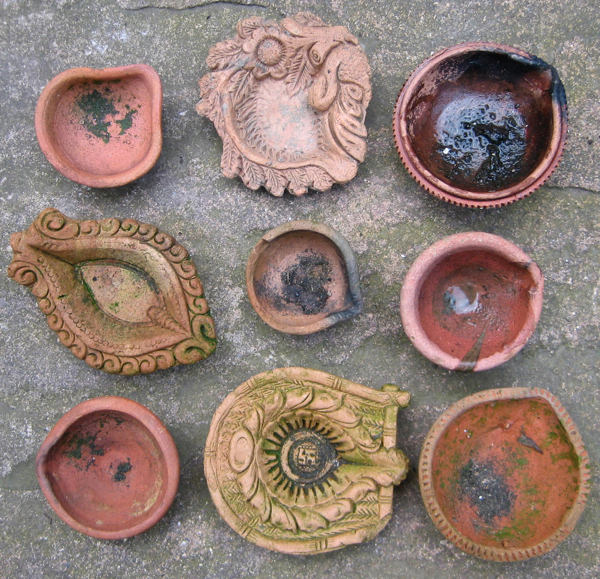 Clay lamps used by Hindus in the festival of Diwali – filled with ghee and set alight, they drift off across the water. 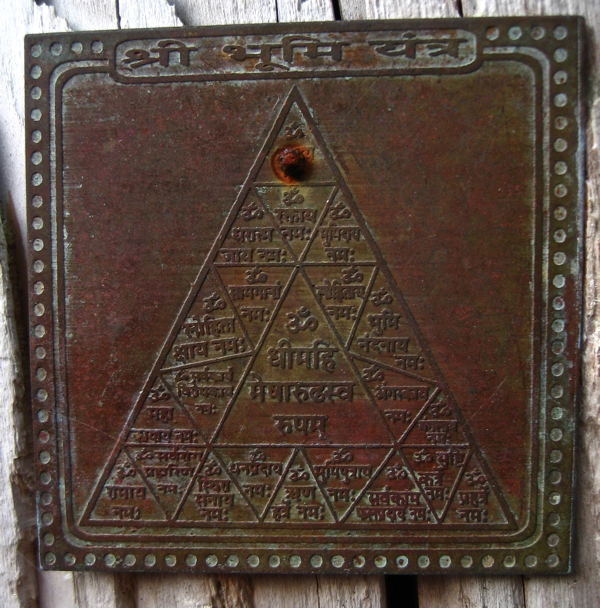 Yantras, a talismans to ward off evil. 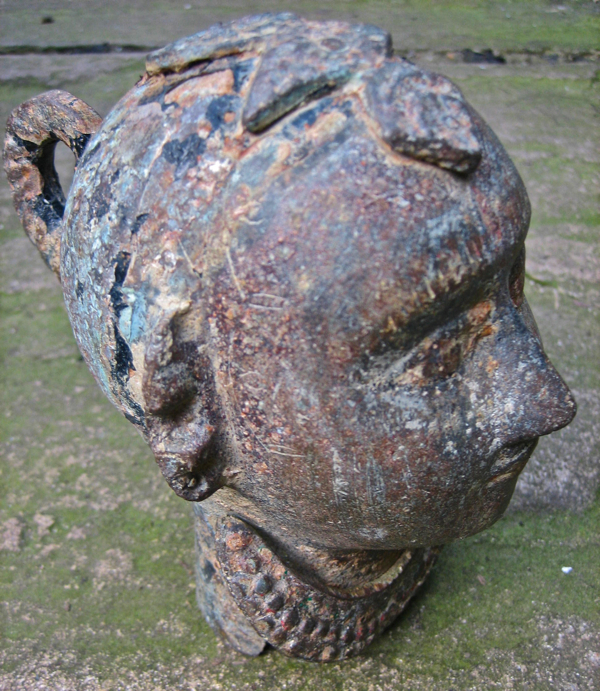 Fine bronze head believed to be of African origin. I must say that this is where mudlarking makes me feel very uneasy. Removing items which have been discarded, the detritus of life, is one thing, but removing items thrown in by lovers or by people who have Faith seems wrong. It feels a bit like taking from cemeteries, or from the Ganges. I think the opening line ‘For many people the Thames is a sacred river’ tells us to leave them where they belong. I have come late to Spitalfields Life, but I must say I share Vicky’s misgivings entirely, especially when Steve says to always pick up a coconut, because it is filled with precious objects. It stands to reason that the high value of the offering is commensurate with the importance of the prayer; thus, to learn that a mudlark had intercepted the offering would be a grave disappointment. Perhaps the illness of a child is at stake, or the safety of a loved one. The Thames is not the Ganges, but the displaced people who worshiped by their home waters hope the same gods abide. The Thames may only view such offerings as trash, and Steve is rendering a service by cleaning it up. 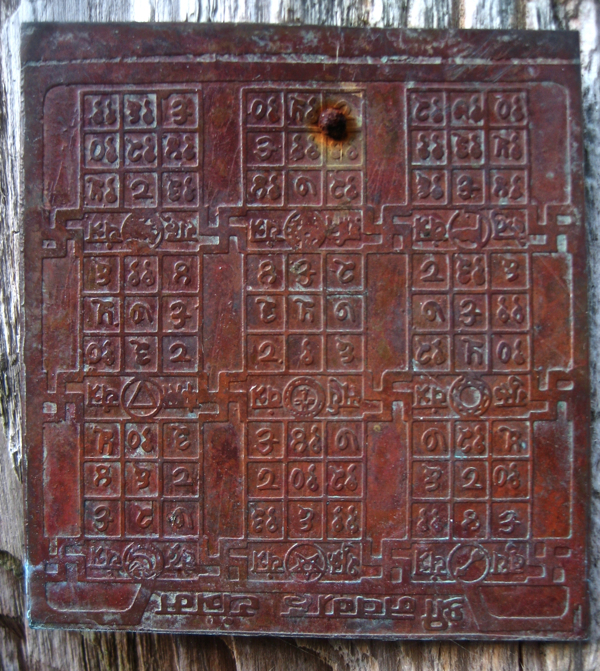 Perhaps there is a Hindu or Buddhist temple willing to accept the offerings in the spirit in which they were made. Steve could complete his service by bringing the offerings there.